Trust is the basis for successful business. And honesty breeds trust. We at Erimama Investment Company Ltd understand this. Hence, honesty is the foundation of our business. That is why we have published this trust policy. For us, honesty is not just the best policy . . . it is the only policy we operate. This means you can trust us to deliver on our business commitments. It also means you can trust us with your money. If you live overseas and want to invest in Lagos Nigeria real estate, the tendency is to entrust one of your relatives with the task of finding you property to buy. Thereafter you send the money required to purchase the property to your relative and expect him or her to make the purchase for you. Many people do this in the belief that they can trust their relatives much more than they can trust anyone else. Unfortunately, many have been disappointed because these 'trusted relatives' end up squandering money sent to them for their own selfish endeavors. Why do family members behave that way? Many relatives and family members just don't understand the value of honesty and trust. Trust them with your hard-earned money and you could lose it. This is where working with a trusted company like ours makes a difference. 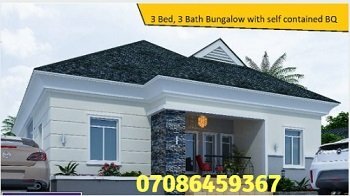 We are a team of Lagos Nigeria real estate consultants and portacabin and prefab home builders who are in business to serve our customers. We firmly believe that the best way to do business is to be honest and trustworthy because honesty breeds trust. And trust brings more customers. Customers who have done business with us in the past return to do more business with us because they found us to be trustworthy. Satisfied customers also recommend us to friends and family. And this brings more business our way. Yes, it pays to be honest . . . it pays to be trustworthy. Samson Itoje has a reputation for honesty and commitment to customer satisfaction. To see just how popular Samson Itoje is, open a new browser window and visit google.com. Next, type samson itoje in the search box. Then click the search button. You will be flooded with pages and pages of information about Samson Itoje. Yes, our CEO, Samson Itoje, is a known name in Nigeria and overseas. And he cannot afford to throw his reputation to the wind because of a few notes (or even millions of dollars). You are dealing with a reputable company when you do business with us. 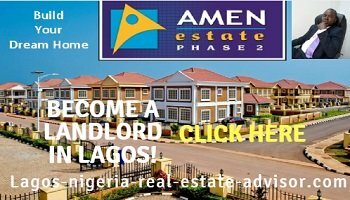 So, if you're thinking of buying or renting property in Lagos Nigeria, use our services. We are trustworthy real estate consultants and prefab home builders. Your satisfaction is guaranteed. Click HERE to view list of land and houses for sale in gated estates in Lagos Nigeria.